For All Signs: This is an unusually active week among the planets. Multiple activities are probable for everyone. We’ve had a long spring of holding back and waiting for the right moment, given the retrogrades of Venus and Mercury. Activity and forward motion started at the beginning of May and now it is in full swing. Every planet is involved in the dance. They are avatars for those of us on earth. Not everything is rosy, but at least circumstances are moving forward, for better or worse. Most of us become itchy when action is thwarted and we must sit on our hands. Aries: An abandonment issue from the past may be re-enacted in the present, only in different clothing. The symbolism points toward early issues with siblings or elementary education peers. If you have an overdone sense of rage this week, it is most probably caused by issues from long ago. Taurus: You are planning to make a change soon that will surprise everyone. You have just a few more projects to accomplish and then you can tell everyone. You seek a practical and ordered change, which means laying all the bricks just right. Love life appears stable and unconflicted. 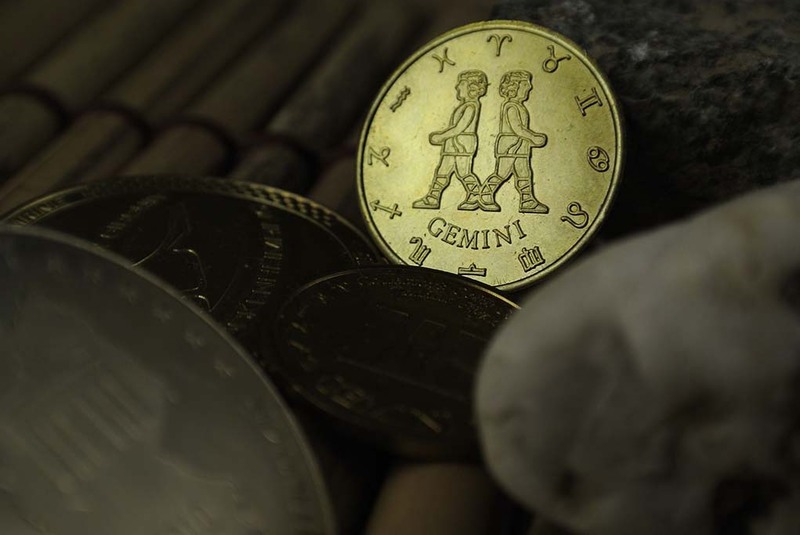 Gemini the Twins: (May 20 — June 21) This is a time in which you must take a look at reality. The facts are being exposed related to your life direction. Maybe you are just realizing how others see you. Possibly the culprit is yourself as you have avoided clear knowledge of your total picture. Becoming conscious brings the power to resolve issues. Cancer: Mars, the warrior, enters your sign this week and will be traveling with you for seven weeks. This energy is especially helpful in defining our boundaries. Periodically we need to examine who we are and who we are not. Often something or someone is eliminated. In general, it increases your courage and physical strength. Leo: There is the possibility that you will attract someone who is needy, causing you to feel that you should help. Before you go very far, talk to your friends and ask who this person is. He or she might be a “vampire,” one who takes far more than he can give. On a higherlevel, there is also the possibility of an encounter with your Spirit. Virgo: Your concentration is good at this time and will help you accomplish any mental project you need. Use your hands to create artwork and gardening is also favored. Love life and time spent with children would go well this week. Nurturing will feel good to you. Libra: Aspects favor the law, circumstances involving distant people, travel, and the internet. Relationships go well with a little surprise change in the mix. You have been needing to do something different together. Now is the time to experiment. Scorpio: A child or a lover might scratch an old emotional wound. In the old days it felt like an abandonment so this feels painful. It is important for your mental health to stay in the present moment, lest you overreact to the situation and generate misery for yourself and others. Try not to relive that old history in knee jerk fashion. Sagittarius: Primary relationship(s) are going well now. The two (or more) of you may be working together to accomplish a long-term goal. You have been building and growing your new identity for the last two or more years. This week some of that effort is showing budding signs of favorable results. Capricorn: Relationships to your family of origin are given a boost. It is possible you are on a family vacation with everyone, including your adult family and children. Make an effort to reach out. Plan a barbecue in the backyard, if nothing else. Aquarius: Let yourself make changes, even small ones, in your daily routine. It will be a refreshing shift from the norm. Give the artist in you an opportunity to spread its wings and experiment with a new or unusual medium. Play with accent pieces in new colors to brighten your mood. Pisces: There are vampires loose in the world and the Fish tends to attract them. If you have aged a bit, you probably have begun to smell them when they enter your vicinity. Those who have not will be learning a lesson soon. It’s a required course for this sign. Save some energy for yourself. Don’t take over someone else’s problem.